Have questions? Discuss this Flash tutorial with others on the forums. Depending on how dirty you want to get your hands, Flash has various drawing tools available for you. If you want to get your hands really dirty, you can use the Pen and Pencil tools to precisely draw almost every pixel with great control. On the other extreme are the Shape tools. The Shape tools allow you to draw simple circles, rectangles, and the awesomely named polystar-variety of shapes. 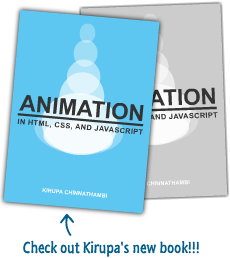 In this tutorial, let’s briefly look at both how to draw simple shapes as well as more complicated ones such as PacMan and rounded rectangles. 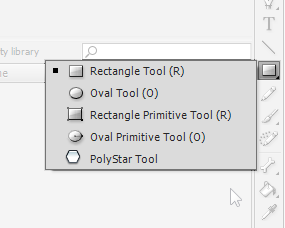 You have the Rectangle Tool, Oval Tool, Rectangle/Oval Primitive Tools, and the PolyStar Tool. 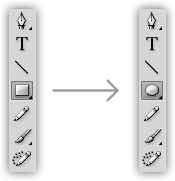 To draw a shape, click on the tool that is already displayed for you in the Tools panel. If you want to use a tool that is different than the one currently displayed, click and hold on the icon to display the Shapes menu itself. Anyhoo, make sure you have a shape tool selected. For now, it doesn’t matter which one you have selected, but I’m going to be using the Oval Tool. With your shape created, you can switch over to your to your selection tool and play with it like you would with anything else on the artboard. 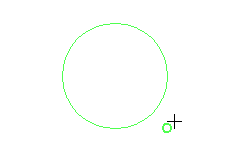 If you want your shape to equally sized as you are drawing it, hold down the Shift key while dragging the mouse. 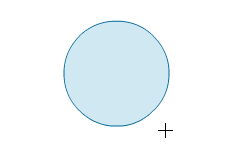 If you want your shape’s size to grow from the center as opposed to the top-left corner, hold down the Alt key. If you want your shape to grow equally outward from the center, hold down both the Shift and Alt keys while drawing your shape. That's all there is to actually creating a shape. It's just a simple click and draw operation as you can see. With that said, there are lot of powerful things you can do with the shape funcitonality, and the next few pages will cover them...powerfully!